Early morning observations. A final, fleeting glimpse of comet Lovejoy before astronomical twilight takes over all night in high northern latitudes from April 25th. A night of good transparency from around 22h UT (21st) but with initial poor seeing – improving towards midnight and in to the early hours of the 22nd. The brightest star in the field is (36.5' approx.) 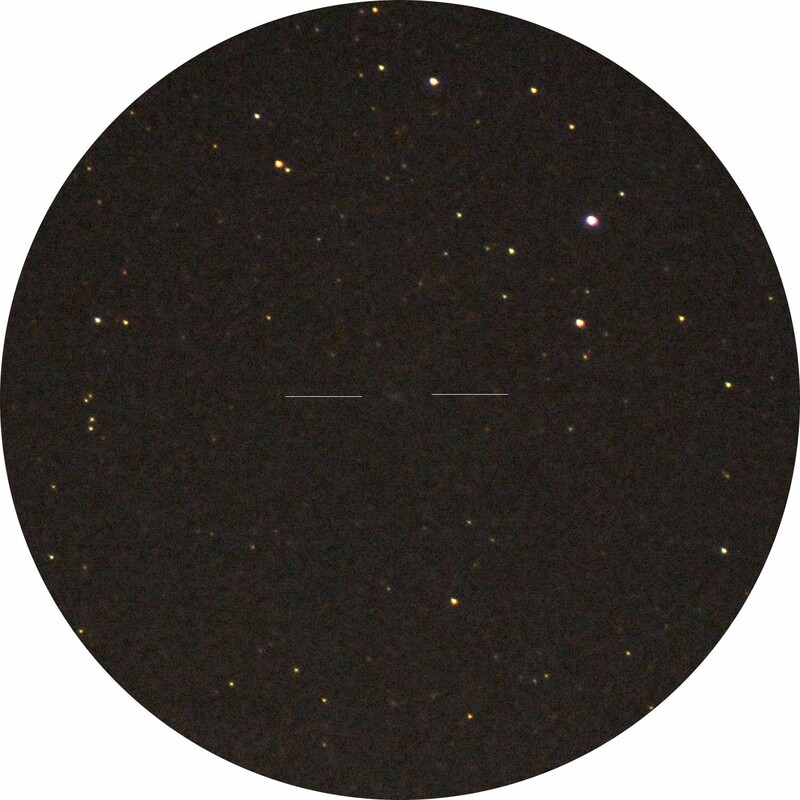 QQ Serpentis 7.51 (variable minimum magnitude: 7.64) spectral class: M2III. Stars to magnitude 15.8 are discernable which, for an altitude of just 9°, is quite an achievement. The comet’s location (shown between the two white lines) is verified from four images taken at about the same time with similar exposures of around 50 sec. Estimated integrated visual magnitude from high resolution images: 15.3. The star just visible in this low resolution image, above and a little to the left of the comet, is GSC 5683-1172, visual mag.14.88. A night of good transparency from around 22h UT (21st) but with initial poor seeing – improving towards midnight and into the early hours of the 22nd. Observations also made of M82 (supernova fading somewhat), Mars (showing the two polar caps well) and Saturn.